Cats can be tricky to photograph. 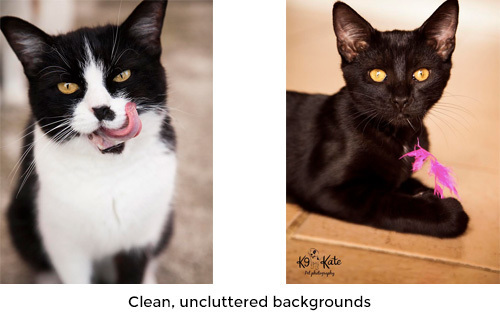 Luckily, we have the very pawsome photographer Kate from K9Kate Pet Photography here to share her pro tips for taking purrfect puddy pics. Wipe your camera lens! So many people don’t do this and it makes the image blurry, dull and hard to see. 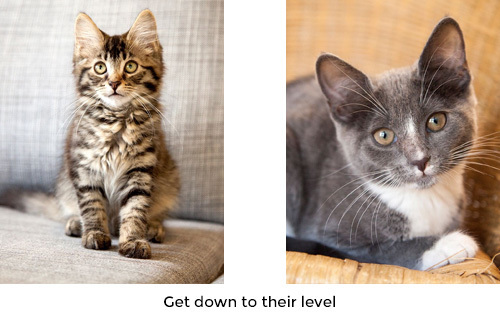 If you’re going to go to all the effort, you might as well have a picture you’re happy with and will help get them adopted. Choose a background that’s clean, uncluttered and has minimal distractions. Stay away from litter trays as it’s not a nice association for potential adopters. Get down on their level! It makes for a much more interesting photo if the cat is on the same level as (or slightly above) the camera, rather than looking down from high above, which can make them look small and out of proportion. Play, play and more play! 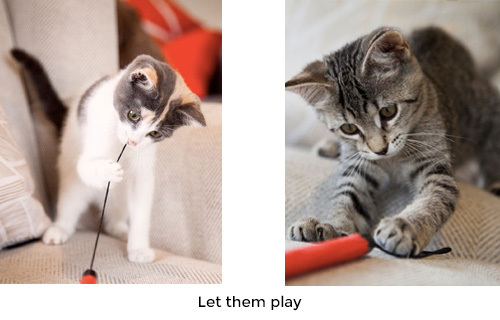 Almost all cats love to play, and you can use this to your advantage. Toys that have long handles (see photo) with tassels or “tails” work especially well as you can swish them back and forth then up in front of the camera. The cat will watch intensely as it moves back and forth, and once the toy is lifted up over your lens/camera and its gaze is held, you can snap the shot. Another great toy is a fluffy ball or fake mouse as cats love to grab these with their paws and hold them while kicking them. These can make some very cute photos if you’re quick enough to catch them! Focus on the eyes. If the eyes aren’t in focus you can pretty much ditch the shot. 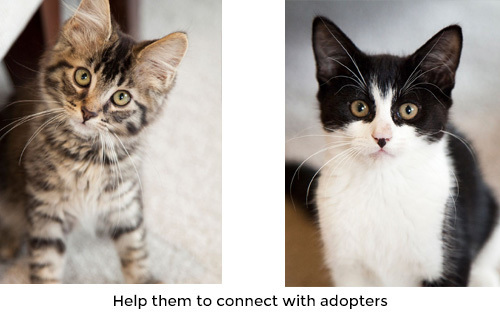 For adopters to connect, they need to be able to make eye contact with the pet. Lastly, have fun! If you’re stressed out it will show in your photos, so relax and enjoy your puddy playtime, or try again another time when you’re in a better mood.